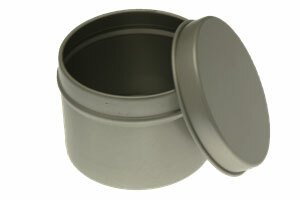 A quality aluminium candle tin with a slide on see through lid. The clear part of the lid is acetate. Measurements are: 60mm Dia. x 44mm High, Holds 75g of wax (Filled to within 1cm of top). Available in boxes of 567. 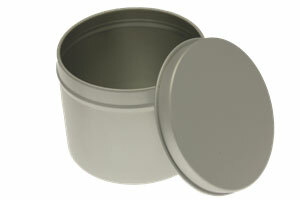 Recyclable aluminium candle tin with slide on lid. 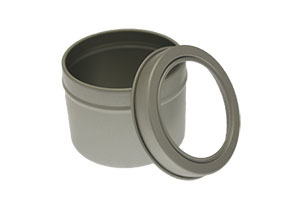 These aluminium Candle tins are 100% aluminium. They can be used many times as a candle, and recycled. 60mm Dia. x 45mm High. Holds 75g of wax (Filled to within 1cm of top) Available in boxes of 567. Always ensure you burn metal and glass container candles on a suitable surface as they can get hot enough to melt plastic or char wood. 75mm Dia. x 60mm High. Holds 175g of wax (Filled to within 1cm of top) Available in boxes of 294. One box of aluminium tins will require one full courier charge. *NEW SIZE* Slightly smaller than the previous glass. Candles made in our votive moulds now fit perfectly inside the glass. 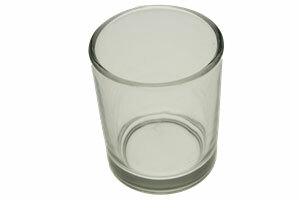 Clear votive glass for use as a container for poured candles or as the container for the votive candles. 64mm high. Make great votive candles using the votive moulds and the auto votive wick pins. 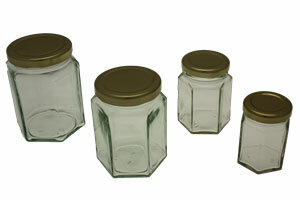 Very popular and easy to make candle jars with lid. 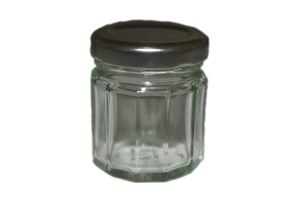 Very nice small twelve sided candle jar with lid. A very unique looking fluted jar thats comes with a silver or gold lid. Make votive candles to use with the votive glasses.